HD EVO offers daily and regular riders with dynamo, safety and comfort. The remarkable new twin front and rear disc brake system gives maximum safety. The double rear suspension give the comfort to all riders and the space for a full helmet is provided in the luggage box while the large fuel tanks will provide the long distance rider with convenience. Flat floor panel provides wide space for placing articles or resting foot during long trip. Government Certifications: EPA Approved, DOT Approved Street Legal, C.A.R.B. Approved in CA. Fees: *Price, if shown, does not include government fees, taxes, dealer vehicle freight/preparation, dealer document preparation charges or any finance charges (if applicable). Final actual sales price will vary depending on options or accessories selected. This gas scooter is EPA and DOT Approved and is registerable as a street legal vehicle in all 50 states. That's right, this SYM HD200 Evo scooter for sale comes with hydraulic disc brakes on the front and rear! Hydraulic disc brakes are the best possible brakes to have because they provide the best stopping power. These brakes are high quality, reliable, and very safe. The SYM HD200 Evo gas moped features an upgraded dual telescopic fork suspension system to make your ride as comfortable as it can be. This motor scooter can get up to 90 miles to the gallon. This kind of gas mileage makes this scooter very fuel efficient and economical. This vehicle is the perfect alternative to cars and motorcycles to save on gas and keep extra money in your pocket! This scooter comes with shut-off switch in case of any emergency. With one press of the button it automatically cuts the engine so you can stop easily. The 4-valve engine mechanism not only increase air intake but also considerably improve engine efficiency over the uneven fuel concentration problem inherent in 2-valve engine combustion chambers to allow more complete combustion and better fuel economy, as well as to effectively reduce noise and exhaust pollution. The cooling system on this model is designed to an incredibly high standard. 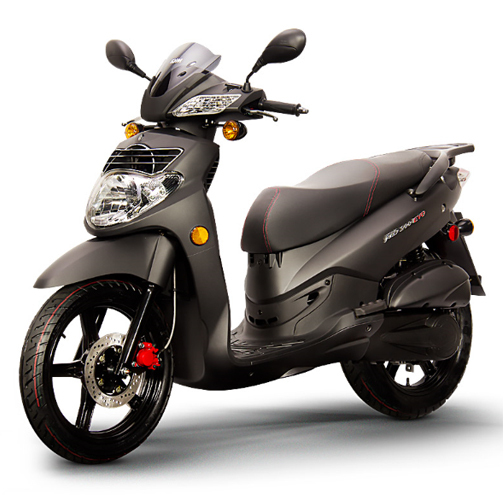 It keeps the engine temperatures level while offering the perfect amount of power for a more reliable engine and quality scooter. The SYM HD200 Evo also comes installed with a fully automatic transmission which is operated by the simple to use 'twist & go' throttle acceleration. With this scooter, the rider will have no worries about using a clutch or gear shifting, because it is completely automatic and completely stress and worry free. Big wheels mean big handling. 16" wheels just cruise over most of the nasty stuff without transmitting the worst of it through the rider so the HD200 Evo invariably goes where you want it to go. This vehicle is registerable and legal in all 50 states including California. All mopeds come with a Manufacturers Certificate of Origin and a Bill of Sale for registration purposes. Be sure to check with your local DMV or state authority for registration requirements prior to purchase. 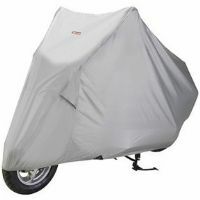 Thank you for visiting our site - Your home for motorcycle and scooter fun. At Scooter Dynasty, we are dedicated to customer satisfaction ensuring the delivery of quality goods and services. We strive to be the #1 powersport solutions to our customers by adding more of the top name brands such as Kymco, Hyosung, Lance Powersports, SYM, SSR, Genuine to name a few to our inventory. We believe we have the best team of people and support that our customers can rely on. Our customers can assure that we are committed to 100% customer satisfaction. It comes through when we have repeat and referred customers.